^I'm sure throwing someone out of the car will trigger a stop. ^This is the sort of quality thinking I approve of. 200,000 Japanese were late for work because someone didn't know how to flush a toilet! That is still amazingly funny 6 years later!!! Moose wrote: I was really torn about getting glow with the show ears. 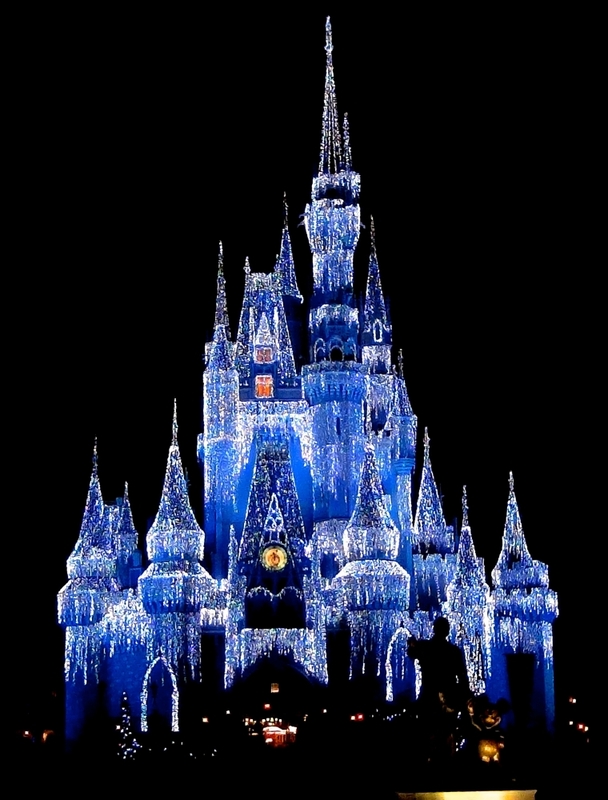 They seem really cool, but as someone that goes to the Disney parks infrequently, it didn't seem to be worth it to me. Especially because I am making everyone else's show better but not my own. 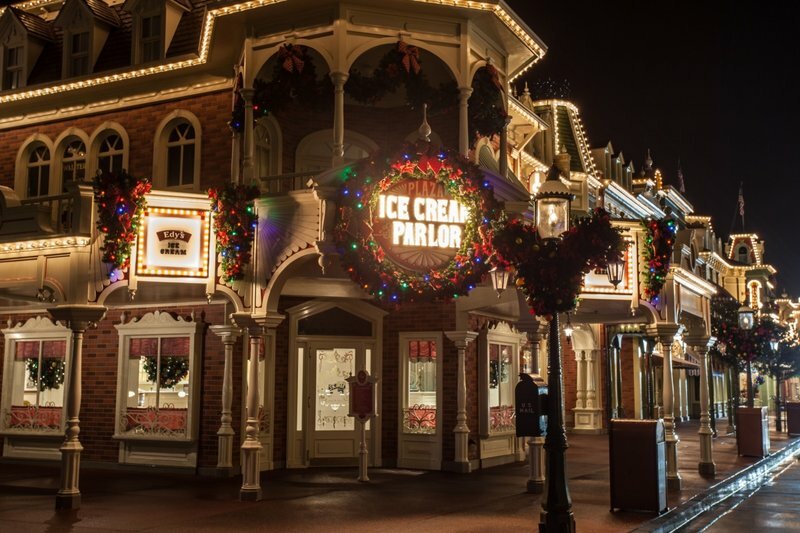 This IMO seems to be the biggest flaw with the Glow With The Show ears. 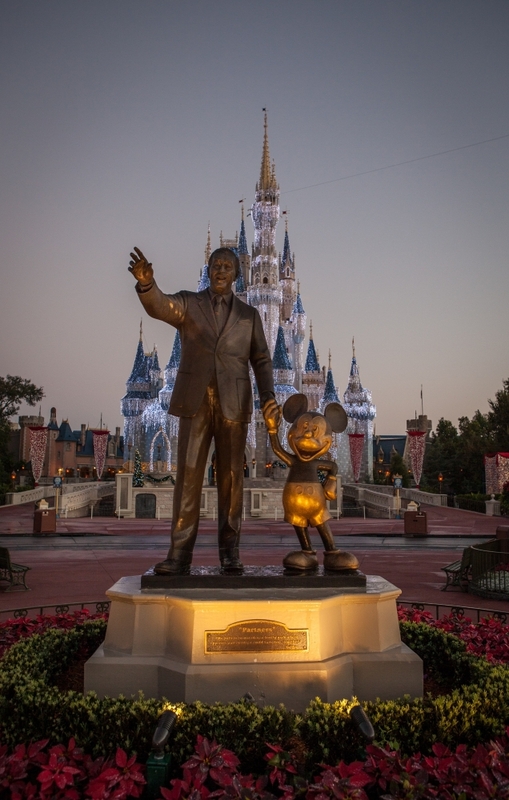 Putting aside the fact that I think the ears actually make it distracting for whatever show you're trying to watch (especially the castle projection show, IMO), you are being asked to spend $25 on something that you can't actually see, and that enhances the show for everyone else BUT you. And the only hope you have is that other people have also spent the $25 so that you'll be able to take part in whatever the ears do, because you'll have no idea as you can't see them. I dunno, I have to be honest and say that it's just something that really doesn't appeal to me and I'm not sure where this whole thing will eventually go. They ears are also heavy and they seem to fall off more because of the additional weight. Can you control the color of the ears when not at a show? I was just wondering. I just hope we never see the lights incorporated into the running medals. Then they'd start wearing them year round, instead of just for six months after a race is done. When they are not being controlled by the park systems, they are on random patterns. There is no way to control our ears yourself. "Must . . . control . . . Mickey . . . ears . 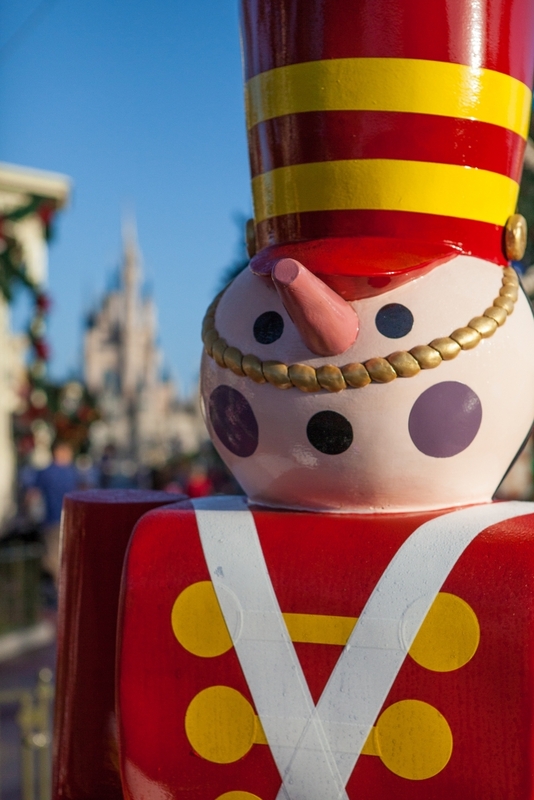 . ."
Walt Disney World Holiday Event Re-Cap and 2014 Preview! 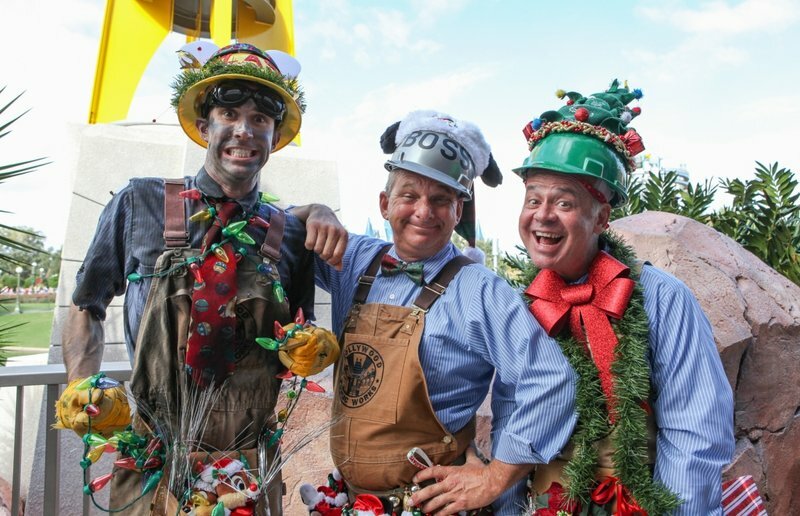 We were fortunate enough to attend a very special media event at Walt Disney World today which focused on re-capping the events for the remainder of this holiday season, touching a bit upon upcoming expansions including the Seven Dwarfs Mine Car attraction and the Festival of Fantasy parade. 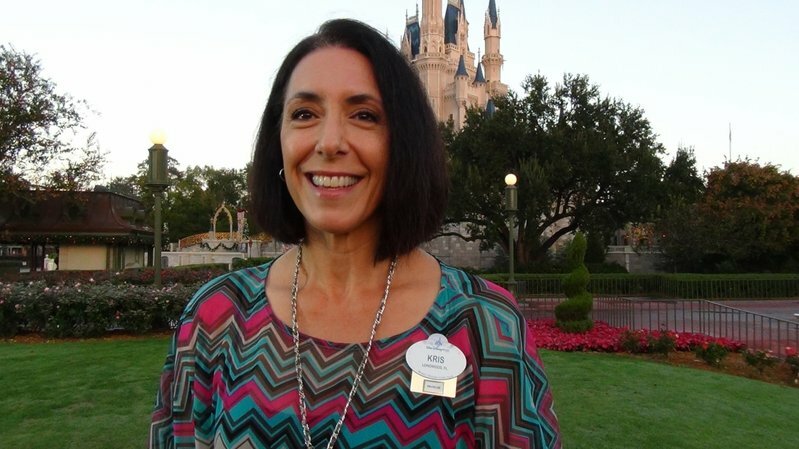 We also heard about some Annual Pass specials for Florida residents and beyond. 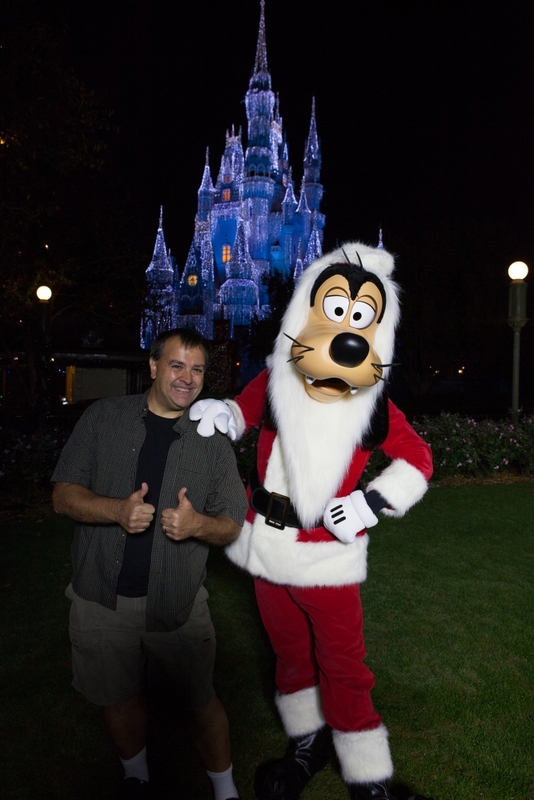 New holiday gift ideas and other WDW merchandise (some REALLY COOL stuff in there) and even got to have a bit of fun with the WDW Entertainment department's "Streetmosphere!" What a great morning at the Magic Kingdom! Please watch the video below and check out the photos! 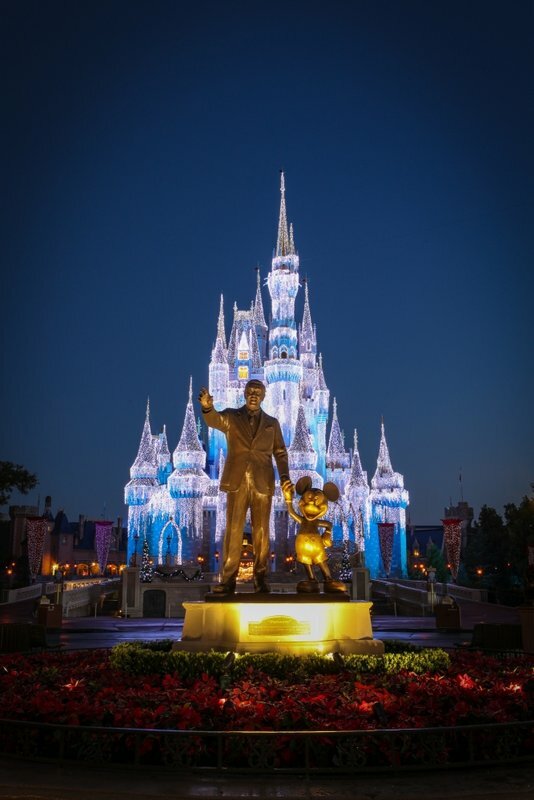 Yes, I had to wake up at 4am to get to the park before sunrise for this media event, but just LOOK at these AWESOME AWESOME photos we got of Main Street USA and the castle all lit up! 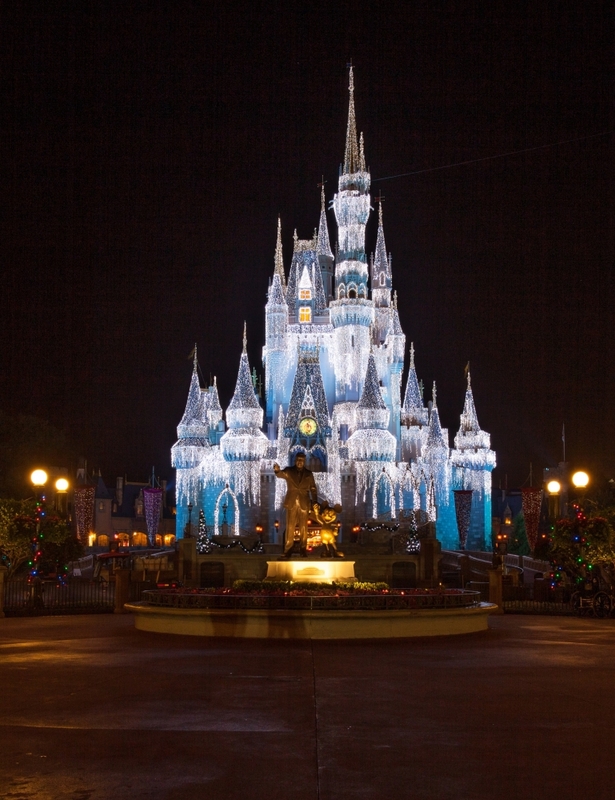 Not often you can get a "postcard" pic like this of the hub totally empty! And then still get that an hour or so later when the sunlight starts to appear and *just* light up the sky! The park absolutely looks beautiful for Christmas. One of our favorite times of the year to visit. We wouldn't miss it! 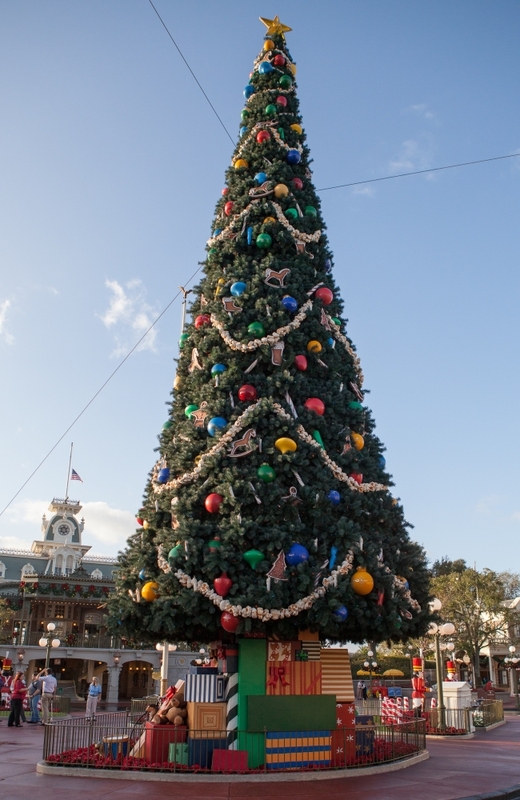 There are many different options for our local Florida residents so get down to WDW before the decorations come down! 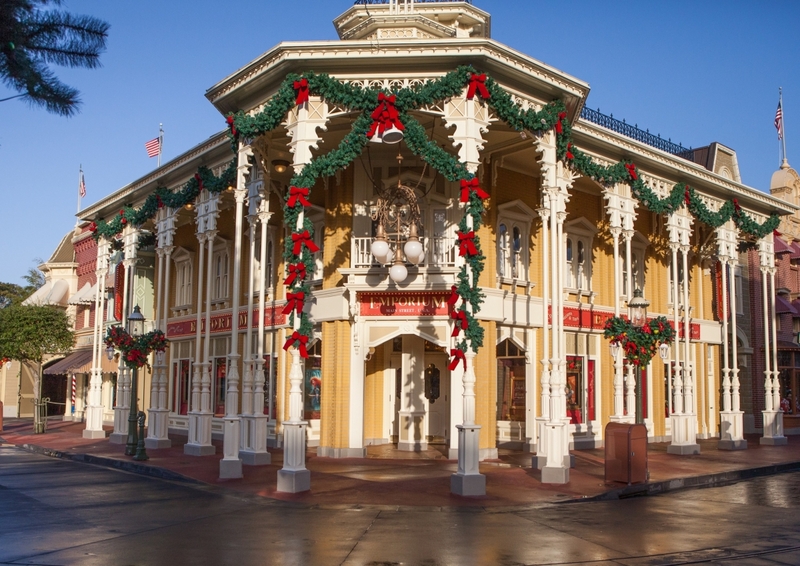 Again, Main Street USA all decked out. Wonderful! 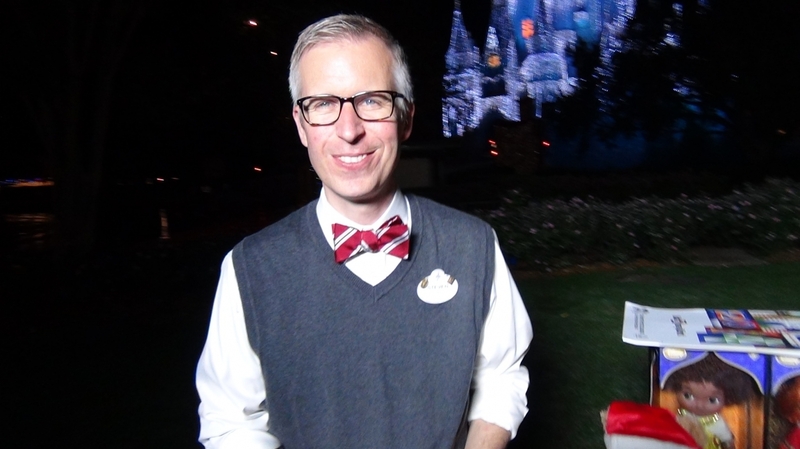 Loved the "It's a Small World" dolls and Duffy fans have TWO new Christmas outfits to collect! 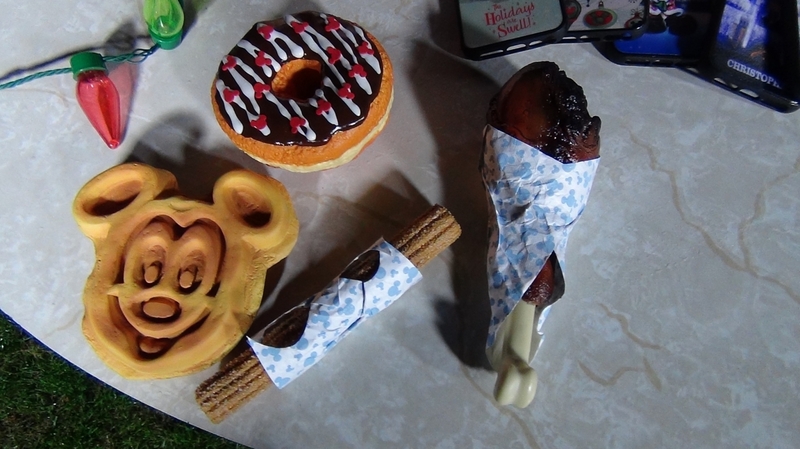 We originally saw things like this at Tokyo Disney and were thrilled to see some of the "Disney Parks Food Magnets" make their way to the USA! 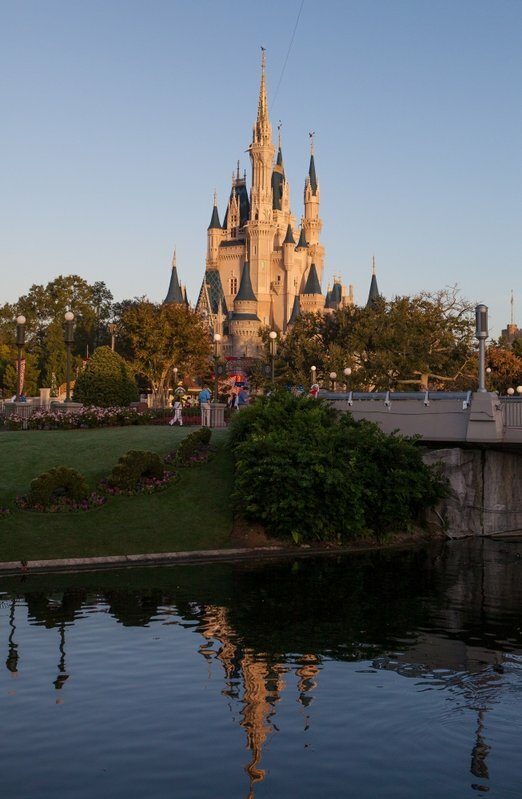 Sun is coming up, more AWESOME shots of the park! LOVE being here early in the morning before the public gets in! Yes! 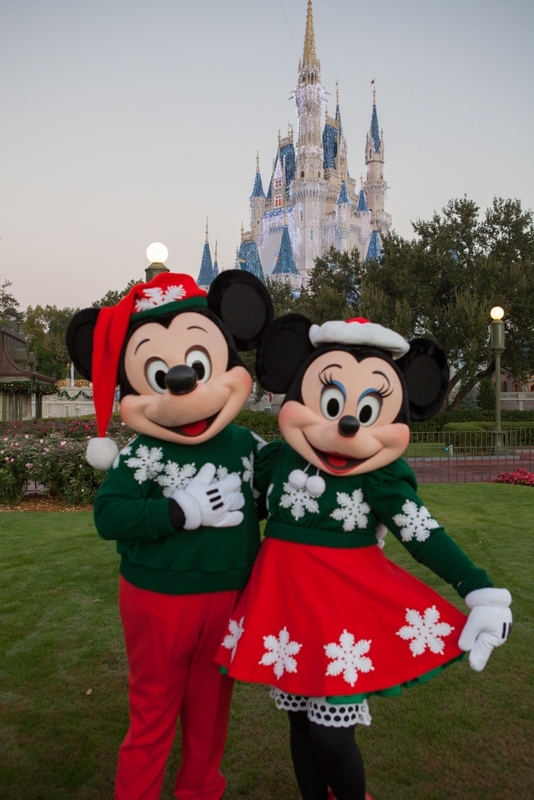 Mickey & Minnie make an appearance! Got a chance to walk around and get more angles of the castle. 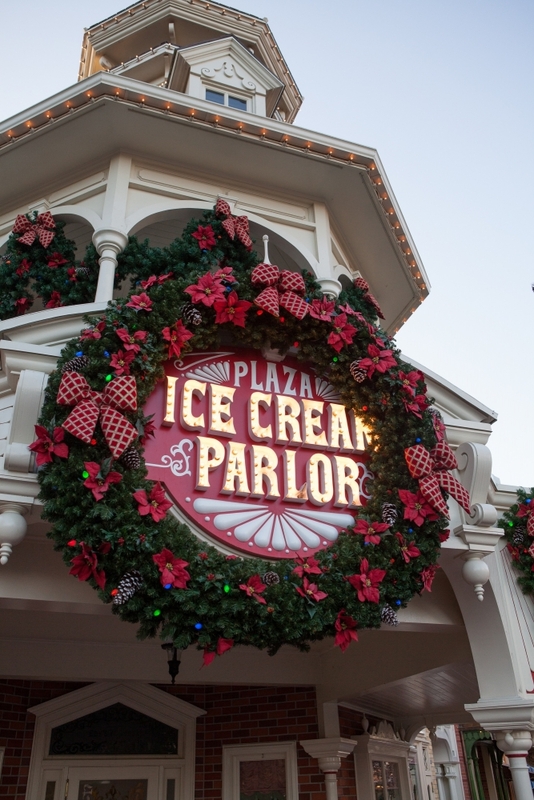 Love all the little details and touches they put on all the holiday decorations around the park. 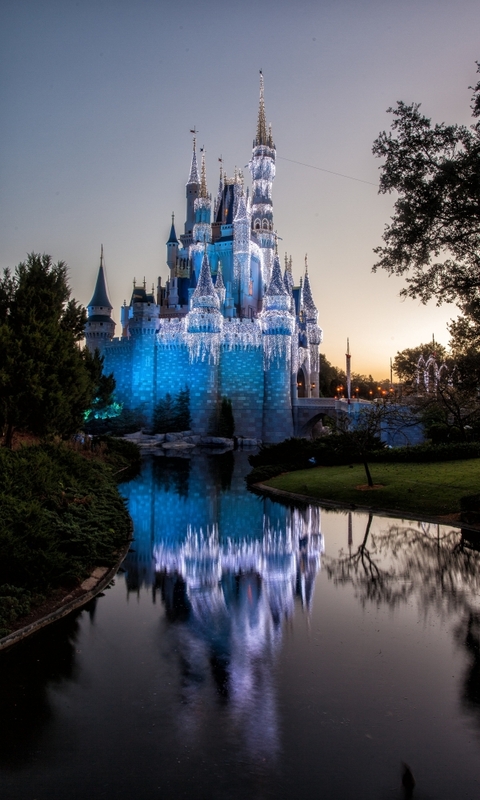 Another advantage of being at the park early is that you get photos both lit up and with the sunlight! 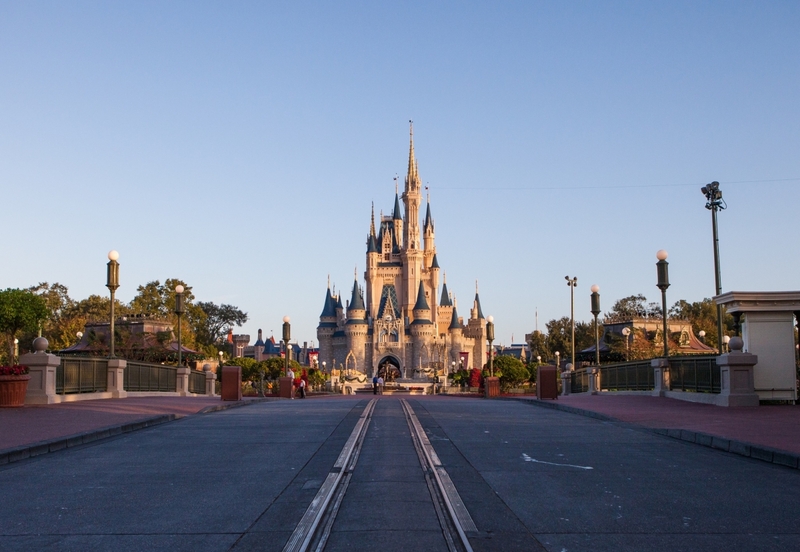 How often can you get this photo with virtually nobody on Main Street leading up to the castle! 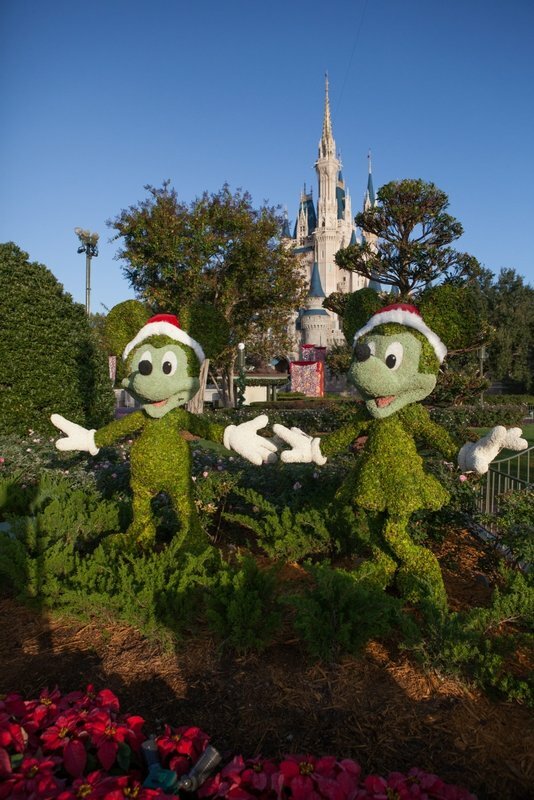 Holiday Mickey & Minnie Topiary! 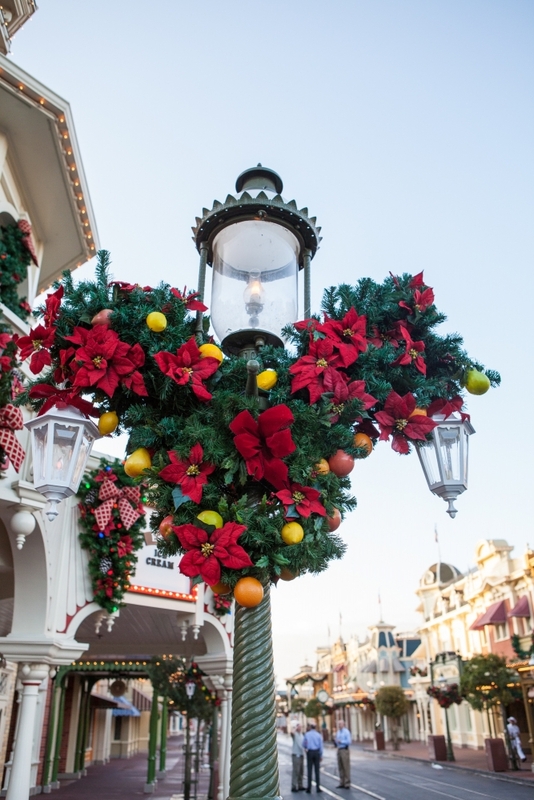 And of course you cannot for get the Christmas Tree as you enter main street. 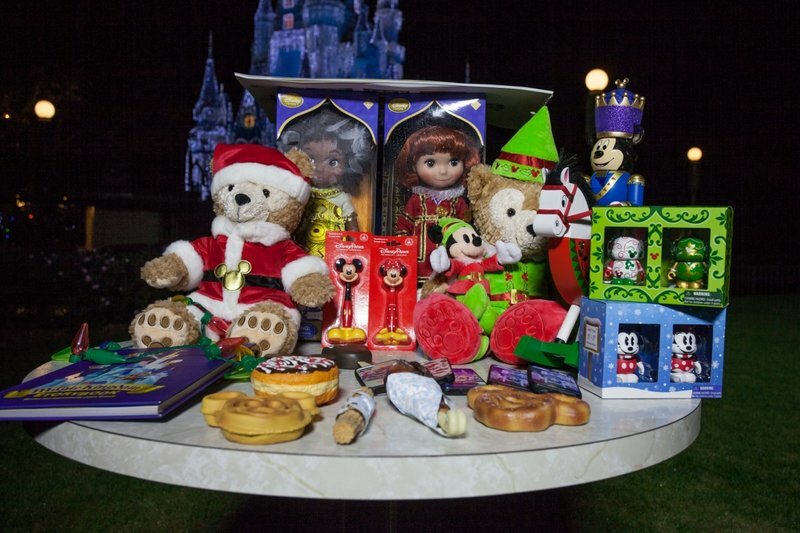 Inside the Emporium is where you can find many of the WDW holiday gifts for your family. 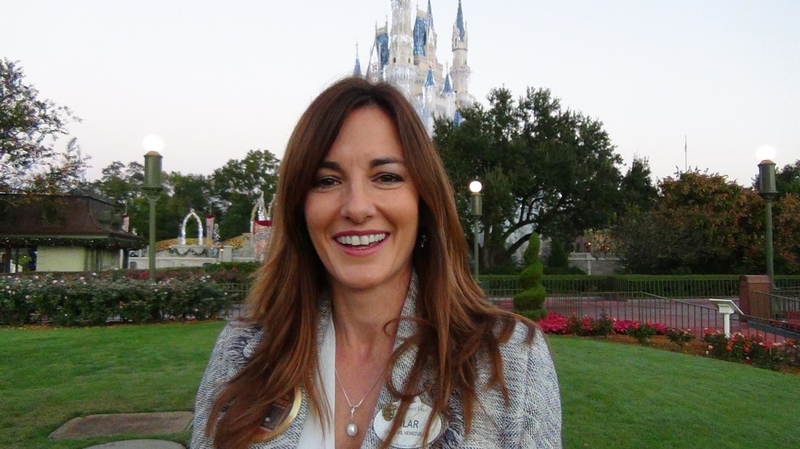 Got a chance to speak with Ty and Rich, the 2013/2014 Walt Disney World Ambassadors. 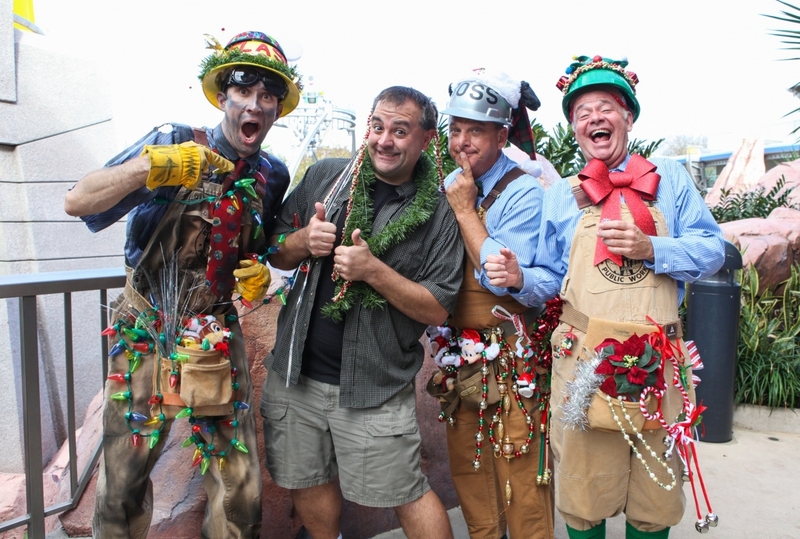 These guys walked me through many of the holiday events and upcoming new attractions at the resort including the upcoming Seven Dwarfs Mine Train roller coaster. 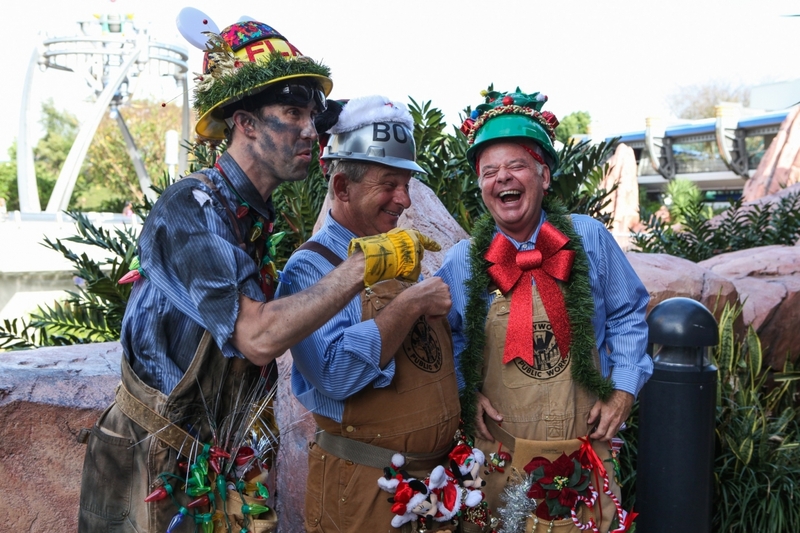 The "Public Works" did an awesome job of also talking up what the future has in store at Walt Disney World! Ahhh!!!! I've been ATTACKED by Christmas decorations!!! 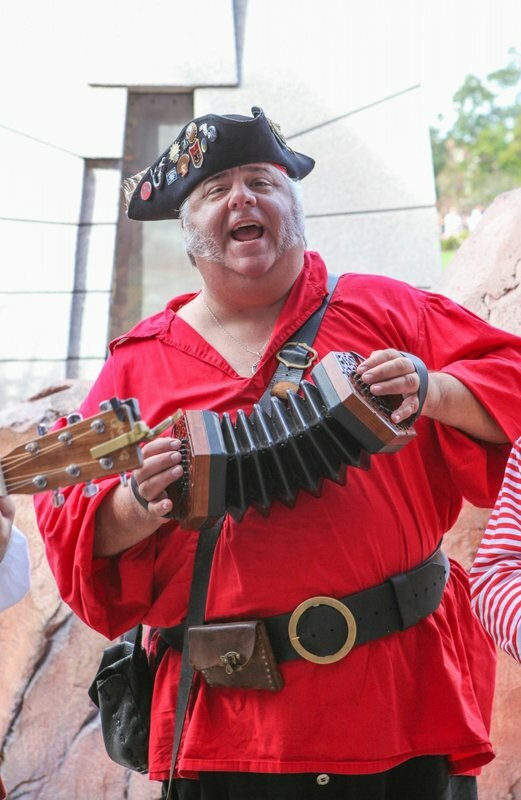 Rusty Cutlass, who plays their pirate Christmas songs during Mickey's Very Merry Christmas Party was here to spread some pirate cheer! Me and the big man hanging out! 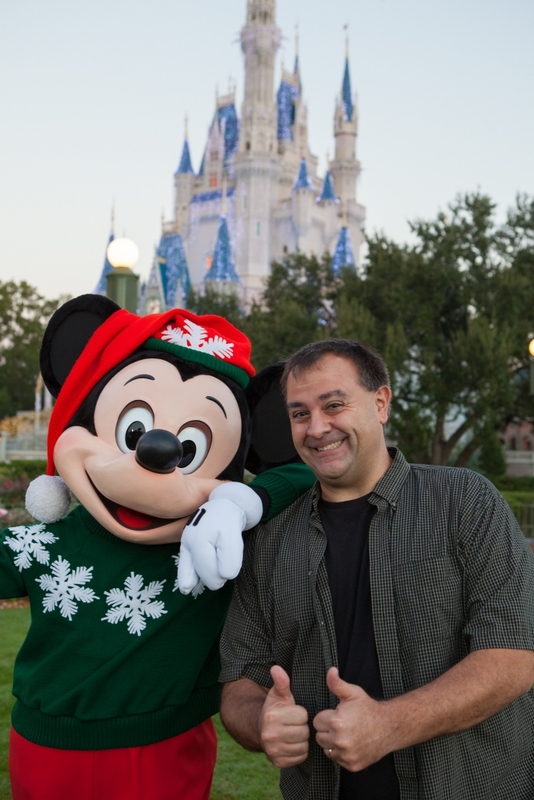 Thanks Mickey for having us out and we look forward to an awesome holiday season at Walt Disney World and lots of greatness in the months to come! Last edited by robbalvey on Mon Dec 09, 2013 7:22 pm. I'm surprised they haven't sold It's A Small World dolls before.